Everyone hates LIBOR, until it does something interesting. It used to be the most boring interest rate in the world. When it was that, it was also the most important.  Though it followed along federal funds this was only because of the arb between onshore (NYC) and offshore (mainly London, sometimes Caymans) conducted by banks between themselves and their subs (whichever was located where). Unsecured markets used to be central. Today, LIBOR dropped sharply. People are talking about it. A few have thoughts. This is supposedly highly irregular and unexpected, except that it was expected by everyone. Everyone who trades in eurodollar futures and (honestly) observes that market’s movements. The current front month is January 2019, and its quoted price as I write this is 97.2475. The EDH (March) 2019 contract trades at 97.29 currently and it will drop off the board on March 18. Three-month LIBOR was fixed yesterday at a fraction higher than 2.80%, meaning that if it stays around or above that level someone is losing money on it. 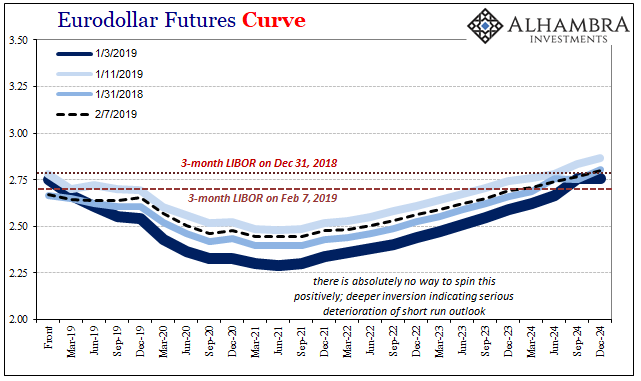 The futures price isn’t directly translatable but back-of-the-envelope it works out to an expectation for 3-month LIBOR on that date in March to be less than what it is fixed now. In other words, the market is seriously betting LIBOR is coming down not two years from now but in the short run. That expectation only grows the further out in time (down the curve). The eurodollar futures market has said for weeks, months since inversion, that balance of probabilities 3-month LIBOR was going to start to decline. It has started to decline. When all this rough stuff began at the beginning of December, around Dec. 4, the February 2019 contract, the current front month with January’s maturity obviously now off the board, was priced at 97.165; ~2.83% for 3-month LIBOR. That was a bit higher than where the London money rate was at the time. By the time we got through all the chaos to January 3, the price had skyrocketed up to 97.31, or market expectations for 3-month LIBOR around 2.70% or so in February. That meant, the eurodollar futures market at the outset of 2019 was betting (in the trillions) that LIBOR was going to drop by at least 10 bps if not more. As of this writing, the price has jumped to 97.3325 (intraday), meaning that this contract will pay off if LIBOR goes a little lower still than it already has today. And so on down the curve. That’s what the inverted eurodollar futures curve means – LIBOR is going to drop. How is everyone so shocked when it does? That’s right, Jay Powell. People still think the central bank is central and that central bankers aren’t clueless statisticians. What’s causing so much angst is that no one will say why the money rate is moving lower. Perhaps for guidance we might look to the past. On Sept 7, 2007, 3m LIBOR had gotten all the way to 5.725%. One week later, it was 5.64625%. Two days further, Sept 18, 5.5875%. Down 13.5 bps in about ten days even though the crisis was only getting started. 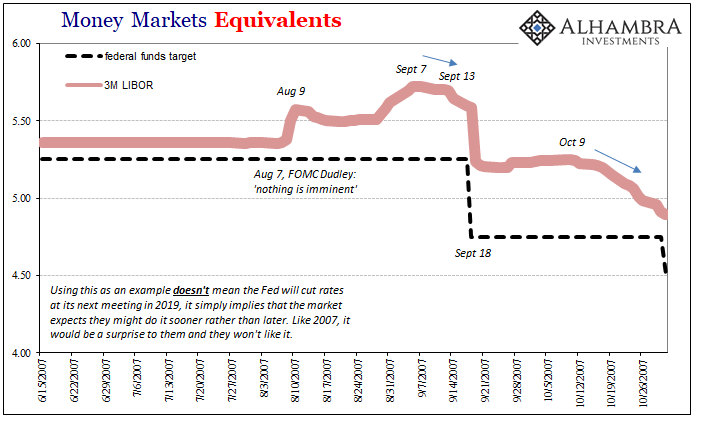 The Fed reluctantly cut the federal funds target (by 50 bps, no less) on Sept 18. I’ve seen some reference OIS to try to make the claim this isn’t about rate cuts. OIS isn’t what it is made out to be, in the same way federal funds target floors and ceilings aren’t what they are made out to be. In the mainstream religious canon, OIS like federal funds is sacred. Yet, forward OIS especially post-crisis has proved about as reliable as IOER (the joke). The chart below was put together and presented by Dr. Larry Summers for his secular stagnation theory in 2016. 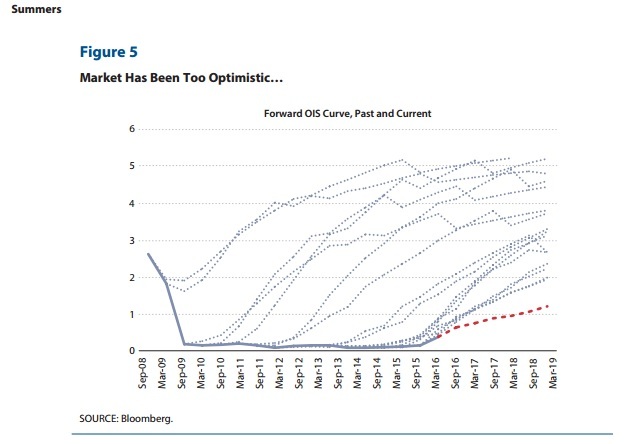 OIS hasn’t gotten any better since. Let’s put this in big picture terms. Eurodollar curve inversion implies LIBOR is going to fall, and fall more than it has to this point. That would happen for a couple reasons but most of all rate cuts. LIBOR doesn’t closely correlate with federal funds like it did before August 9, 2007, but there remains that relationship (money alternatives) at its root. There’s a lot of big stuff going on right now. German 10s are yielding just 11 bps again, JGB 10s -2 bps in “yield.” You buy a near-zero or minus sign because of the liquidity protection (which includes collateral considerations, current and future) and nothing else. The UST curve is still liquidity-hedged inverted from the 12-month bill down to the 5-year note. Don’t get me started on HIBOR, HKD, and Hong Kong. In what shape will China reopen? If you think Wall Street is all about the S&P 500, you’ve missed it. 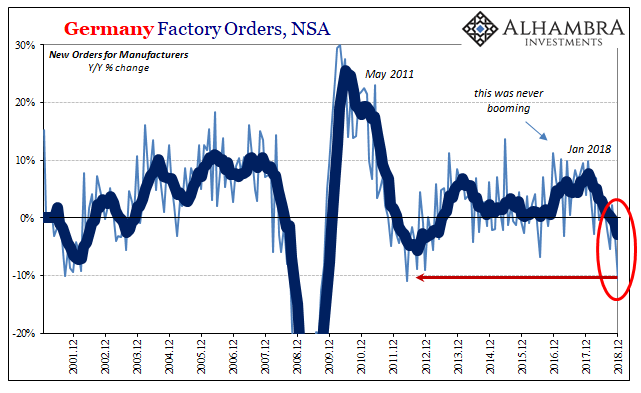 This doesn’t mean we are about to repeat 2007 and 2008, there will never be another 2008, but it does imply that the world is in far rougher shape right now in ways that will shock those strong economy, Powell/Draghi boom-ers. The word UNEXPECTED will be plastered everywhere, in the very same spot LABOR SHORTAGE!!! used to occupy. The global economy may have hit a landmine, a previously marked landmine (see: May 29), in that October-December window. Don’t wait for the Fed to confirm, by the time they do it’s already in the past.